Jorge OCampo, a 21-year old documented gang member has been arrested on charges of vehicular manslaughter and felony hit and run. On August 22, 2013 he allegedly ran a stop sign and hit another vehicle killing two of the occupants. It was about 11:00 am when the accident occurred and there is no evidence that alcohol or drugs were involved. Mr. OCampo checked on the victims afterward but walked away from the scene before the police arrived while speaking on his cellular phone according to witnesses. He later turned himself that night. In California, an individual can be charged with manslaughter if their conduct, while not intentional, was so reckless as to amount to criminal negligence. Criminal negligence is acting without a reasonable regard for human life or indifference to the consequences of that act. In this matter Mr. Ocampo is alleged to have run a stop sign and run into the victims’ vehicle. Vehicular manslaughter charges (Penal Code Section 192(b)) can be alleged in two different ways: The first way is that a person may be not have broken any law or traffic infraction but may have been doing something legal (driving down the street) but still acted with criminal negligence (not paying attention to what is in front of him). In so doing he might run over a child who was in the street in plain view. This could lead to a charge of vehicular manslaughter. The more commonly prosecuted case is when a person breaks a vehicle code section like the drunk driving law, speeding law or as is the situation here, run a stop sign. Any violation of the law which led to the death of someone can be the basis for a vehicular manslaughter charge if the death of the victim was a necessary and probable consequence of breaking that law or infraction. In this case, the Prosecution may be hard pressed to show that running a stop sign is something that the Defendant should have known directly, naturally and probably would result in death. For example, what if the Defendant is very familiar with the area and the stop sign is in a remote place with little traffic? In that situation he could argue the deaths of these individuals was not a probable consequence. On the other hand, someone who drives on the freeway drunk would probably be seen as acting sufficient recklessly to be found criminally negligent. Vehicular manslaughter carries a maximum sentence of 6 years in prison. Hit and Run (Vehicle Code Sections 20001-20003) involves any situation where the Defendant has an accident and fails to remain at the scene and exchange information with the other party OR fails to call the authorities to report the matter. Generally speaking an accident must be reported within two hours. Most Hit and Run cases are misdemeanors as they involve property damage only. However, an individual who flees the scene after killing people in a vehicular manslaughter situation faces an additional 5 years in prison if he does not stay at the scene to talk with authorities and render aid to the victims if possible. The idea being that the victims of the crime may benefit from the Defendant calling authorities and/or the ambulance and otherwise rendering aid. 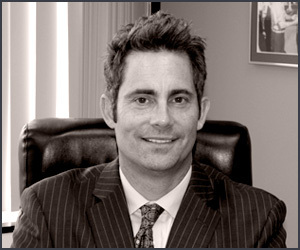 Criminal Law Updates the Law Offices of Orange County Criminal Defense Attorney William W. Bruzzo (714) 547-4636.